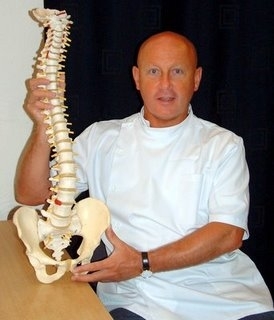 Tamworth pain relief centre can help with trapped nerves such as sciatica and pins and needles. Atlas Tamworth have osteopaths physiotherapists and acupuncture as an alternative to Tamworth Chiropractic treatment from Tamworth Chiropractors. Trapped nerve in the neck can result in pins and needles to the arm or hand and into your fingers. You may be suffering from Carpal Tunnel Syndrome which compresses the median nerve in the wrist which may give you numbness and pins and needles in your fingers. A trapped nerve in the low back can refer to a disc prolapse compressing the sciatic nerve causing sciatica. As with all nerve pain, the cause must be investigated before treatment commences. Nerves are delicate structures and may be damaged easily. Nerves can be prone to degeneration with disease such as motor neurone disease and multiple sclerosis which are serious nerve disorders. More common are compression of nerves around their exit points in the spine from inpingement of disc material or osteophytes. Osteoarthritis can be present with osteophytes, which are small bony growths or spurs. These spurs can impinge the nerve root and produce nerve pain. Narrowing of the spinal canal as in spinal stenosis can also cause compression of nerves. Nerve pain should be investigated before any spinal manipulation is performed. Chiropractors, Osteopaths and some Physiotherapist manipulate the spine as a form of treatment for trapped nerves. This has to be done with consideration to the signs and symptoms gathered and recorded during the case history taking. If a spinal manipulation is about to be performed on your neck, because a practitioner believes this will free the trapped nerve in your neck, a safety check should be carried out first. A VBI test to determine if your neck is safe to manipulate should be carried out before a manipulation is performed. You should also be advised of any risks and asked permission to proceed. Neck manipulation carries risk and it should not be performed without due consideration of that risk. Patients have suffered stroke and serious damage from neck manipulations so safety has to be a priority.